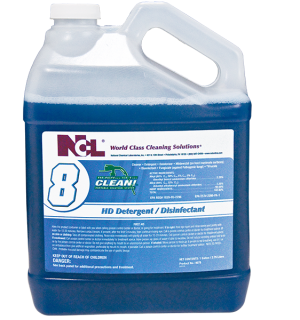 NCL DUAL BLEND #8 H.D. 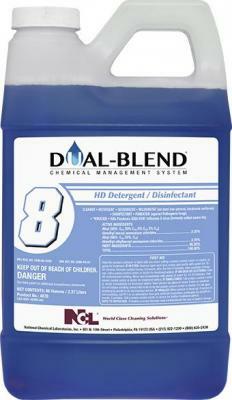 Detergent & Disinfectant, 80oz - (4/cs) - FOUR U PACKAGING, INC. 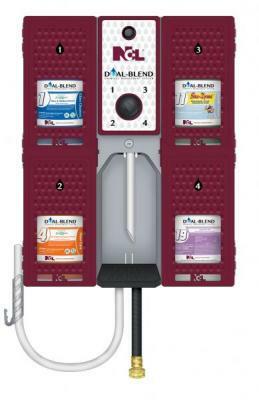 This product is a phosphate free formulation designed to provide effective cleaning, deodorization, and disinfection specifically for hospitals, nursing homes, schools, transportation terminals, automotive garages, office buildings, manufacturing facilities, lodging establishments, retail businesses and athletic/recreational facilities where housekeeping is of prime importance in controlling the hazard of cross contamination. 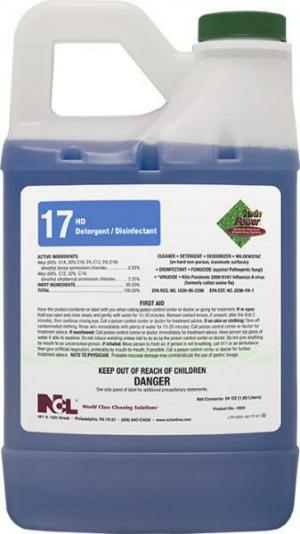 This product cleans, deodorizes and disinfects all hard non-porous household surfaces. 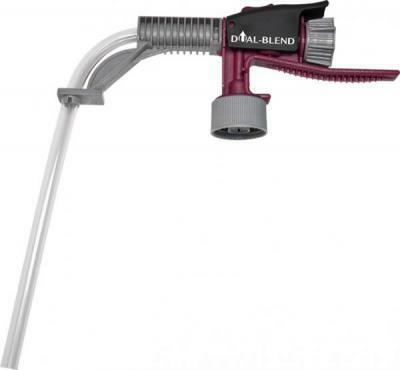 It inhibits the growth of mold and mildew, leaving bathrooms and kitchens clean and fresh smelling. This product is a non-abrasive cleaner for showers, tubs, shower doors, vinyl and plastic shower curtains, fixtures and toilet bowls. 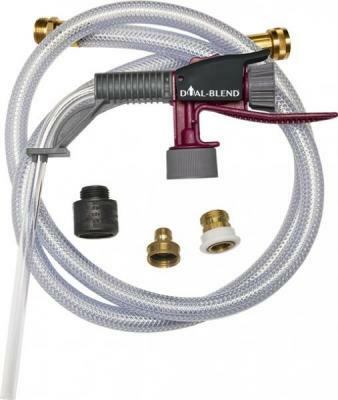 This product is an economical concentrate that can be used with a mop and bucket, hand pump trigger sprayer, low pressure coarse sprayer or sponge. Kills Pandemic 2009 H1N1 Influenza A virus (formerly called swine flu).